War, peace, and art are rooted in Big Bend Country, a region that has hosted conquistadores, missionaries, gunslingers, miners, and more. We drove the El Paso Mission Trail and hiked the routes of Big Bend National Park to sample historical highlights. 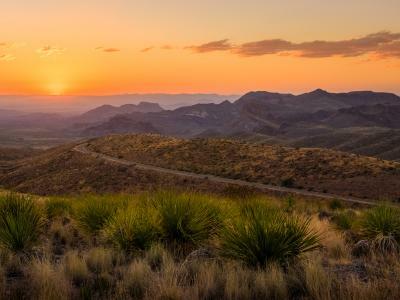 Big Bend boasts a disproportionate share of the nation’s oldest inhabited places. Spanish conquistadores first appeared in the region in the 16th century, spurring encounters with native people and ushering in an age of settlement. The frontier history that ensued still colors the region’s sights and sounds. 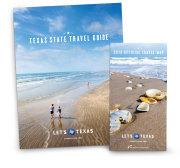 We walked missions and trails for insights into West Texas’ deep past. El Paso, a city whose name literally translates to “the Pass,” and surrounding communities bear the mark of five centuries of travel and settlement. The oldest, and possibly most iconic, is the El Paso Mission Trail. Anchored by three historic buildings and parishes owned and operated by the Catholic Diocese of El Paso, the trail is a living reminder of the area’s complex Spanish history—a symbol of its triumphs, tragedies, and traditions. The trail was also part of a large historic network, El Camino Real de Tierra Adentro, which extended from Mexico City to Santa Fe when the Spanish colony of New Spain was still expanding. Predating the Pilgrims’ venture to Plymouth Rock by more than two decades, Spanish explorer Don Juan de Oñate cut a swath of conquest, creating the historical realities from which the Mission Trail arose. We learned about that history and much more on a daylong tour of the missions. 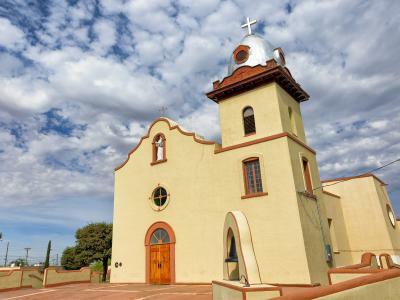 They include the Ysleta Mission, which dates to 1680; the Socorro Mission, founded in 1691; and the San Elizario chapel, with a birth year of 1789. Obviously, the trail has some historical brags. The Ysleta Mission ranks as the oldest mission in Texas and the second-oldest continuously active parish in the United States. But its history of construction and reconstruction is long and storied, with the current location and structure dating to 1851. The Socorro Mission, meanwhile, is the second-oldest mission in Texas. In our weekend walk-throughs, all three proved to be resplendently restored and about as peaceful as you might expect of historic places of worship. Adobe walls made the interiors refreshingly cool, and the Ysleta Mission—with its silver-domed bell tower housing an original bell while reflecting the afternoon sunlight—was an absolute vision. The sites are linked by a leisurely drive, with restaurants scattered along the way to welcome visitors. We also enjoyed the Saturday artists’ market in San Elizario, and a visit to the nearby Tigua Cultural Center was eye-opening, illustrating the deep ties between the area tribe and the local missions. A beautiful Pueblo dance performance by a group of young Tiguas drove home the continued richness of their culture. During our few days at Big Bend National Park, a sprawling destination at the U.S.-Mexico boundary that most decidedly lives up to its name, we hiked, went birding, camped, and generally reveled in the outdoors. But amid all the nature worship, we found time for some of the park’s human-made curios. Spanning hundreds of thousands of acres, the area occupied by the national park today has a rich history—and prehistory—reaching back millennia. A succession of nomads and settlers have called this area home. In roughly chronological order, they include prehistoric groups; Native American factions such as the Chisos, Jumano, Mescalero Apaches, and Comanches; and colonial settlers such as the Spanish, Tejano farmers, and U.S. pioneers. Reminders of their habitation pepper the landscape. On the Chimneys Trail, a roughly five-mile round-trip hike in the southwestern area of the park, we came across Indian rock art, or petroglyphs, that had been scratched, drawn, and carved into rock formations. We spotted crosses, wheels, and other abstract markings. While their meaning and authorship remain mysterious—many of Big Bend’s petroglyphs range from 9,000 years old to just a couple of hundred—their presence fires up the imagination about what pre-colonial life might have been like. And the fact that we got to see them, unmarred, after all these centuries boggled our minds. In other areas, we found evidence of more recent history. The notorious Comanche Trail, a north-south path beaten down by Comanche horsemen as they traveled to pillage the region’s Spanish presidios, is all but invisible from U.S. 385, which approximates the same route. But we came across a plaque commemorating the trail at the Persimmon Gap Visitor Center, near the park’s northern gateway. It was a somber written acknowledgment of a past swallowed by the land. The only time Billy the Kid broke into a jail is reputed to have happened at the San Elizario Jail, a must-see spot on any tour of the Mission Trail. The famed outlaw allegedly posed as a Texas Ranger and broke his friend out. An illegal act, for sure, but today a sculpture of Billy stands at the Mission Trail Art Market.